For those who require concrete evidence of the importance of Social Media in SEO – I present my Instagram proof that Twitter returns solid ROI. This tweet will live forever (or until renovation of the sidewalk). In the graph below, SearchMetrics shows the top correlations of ranking factors for sites ranking in the top 10 for a list of regularly monitored search terms. 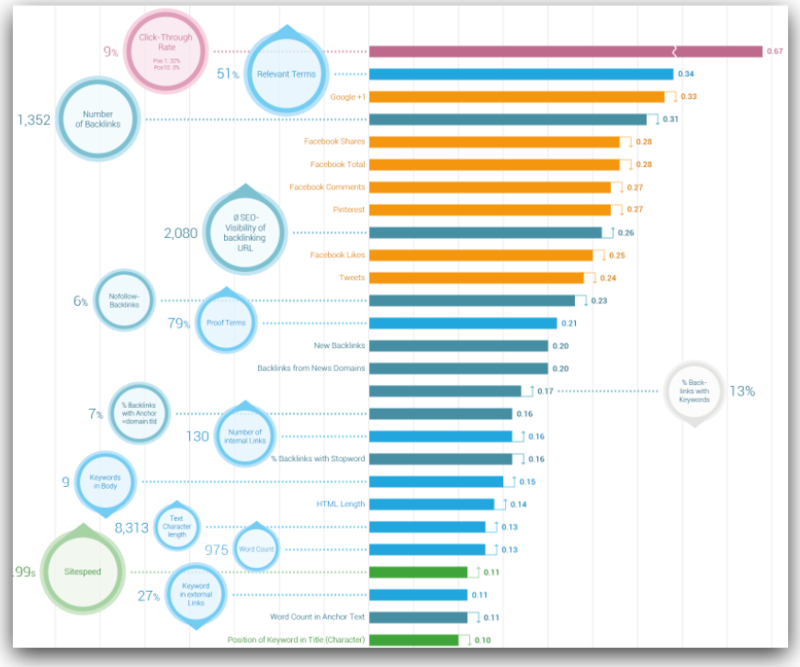 The full SearchMetrics 2014 Ranking Factors infographic is available at SearchMetrics as a PDF, but the most obvious and prominent thing are those ranking factors in orange at the top of the list – Social Actions. This is clear evidence that those sites that rank among the top across several verticals are very active on social media. I know – that Google Plus item appears out of place as the top social media action. It’s not very active and your friends don’t use Google Plus, but give it just a bit more thought. It’s like announcing your page on Google social platform and notifying any followers of your business page (you do have one right?) that you have fresh or trending content Google might need to index and rank. They can see any interaction among their own G+ members with your content and whether any interactions come from authoritative members. It’s like submitting a page for indexing and then immediately seeing how fans/followers interact with that content. Who (and how many) clicks through to your content? Who (and how many) share that content? They know if it is trending news and apply QDF (Query Deserves Freshness) and will display that G+ content in brand searches for your company at Google. Businesses without social media sometimes see social actions as fluffy or unimportant. Nothing could be further from the truth. Social Media matters!